From the Roman Colosseum in Italy and Taj Mahal in India to the Supreme Court Building and Washington Monument in Washington D.C., these famous buildings have original marble that was restored. In fact, of the Seven Wonders of the Ancient World, the Pyramids at Giza in Egypt are the only ones to remain largely intact -- and they’re made of mostly marble. For years, marble has literally outshined and outperformed most other building materials. With durability benefits that last for generations, it’s hard to see why anyone would prefer a second-tier material. However, after years of foot traffic and handprints, even on famous landmarks, marble must be restored to its former luster and sheen. Here’s why marble restoration is important for all types of architecture. Marble restoration has a beautiful aesthetic. Marble restoration upkeeps the appearance of residential kitchen countertops, which helps increase the resale value of a home. Upkept marble in a higher education building, museum, or government building personifies the respect that those who walk its halls deserve. In a place of worship, marble restoration encourages the dedication and compassion of patrons and complements the grandeur of other religious relics. Marble is the finishing element that pulls together four walls and a roof. Restoration is the figurative shoeshine, as it completes the essence and look of a home, commercial or government building, or place of worship. You can’t get the same cut of marble twice. Marble is so unique that each cut can’t be duplicated or found two of a kind. That’s why marble restoration--not replacement--is important. The current look of your marble floor, countertop, or hall cannot be recreated with new pieces of marble. To keep appearances, it’s best to restore the existing pieces to their former luster and shine instead of searching for replacement pieces that are similar in cut, design, and color. Marble restoration increases the material’s durability. By nature, marble is a very durable material. It’s more durable than vinyl, laminate, hardwood, and most other building materials. That’s why marble is most commonly used for flooring in all sorts of buildings. However, after years of foot traffic, that durability wears down. Marble becomes more susceptible to cracking, staining, chipping, scratches, and other unsightly damage. Yet, replacing damaged marble is often more expensive than restoring it. According to 5 Star Cleaning And Restoration in New York, most marble restoration technicians polish the material to restore gloss, repair any damage, and clean any stains. Some technicians teach proper maintenance techniques to keep it healthy between restoration visits. To spend a fraction of the cost of a replacement project, you should invest in regular marble maintenance and restoration for your home or commercial building. Marble restoration is fairly low maintenance. Marble restoration is equally as low maintenance as its installation process. The marble restoration process is quiet, undisturbing to daily traffic, and is efficiently performed without risk of further damage. It lasts for decades and requires little clean-up. Also, the restorative final updates are virtually invisible to the human eye, which means your marble looks nearly brand-new without the high price or stress of a long-term construction project. Without risk, marble restoration is a long-term, inexpensive solution to keep the polished aesthetic of your home, government or commercial building, or place of worship. 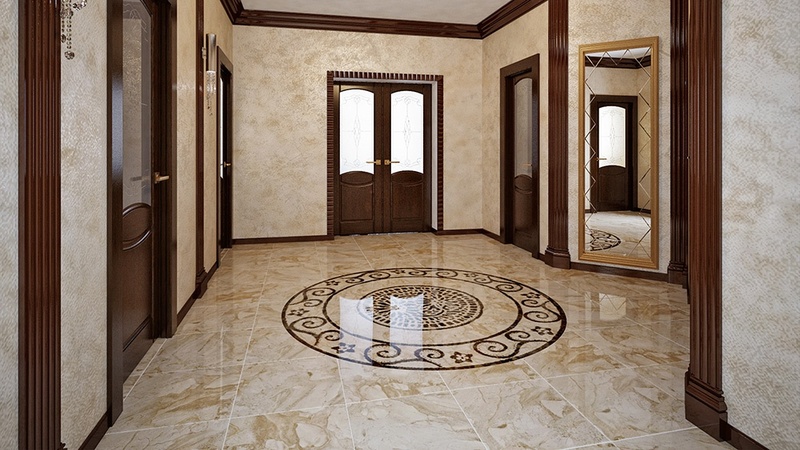 Marble restoration allows you to continue to enjoy the high-end appearance of the original marble. Restoration also increases the durability of marble and is low maintenance to perform and clean up. Marble restoration offers all these benefits without overpaying for second-tier or replacement materials, stressing about a long-term construction project, or disturbing everyday traffic of visitors.